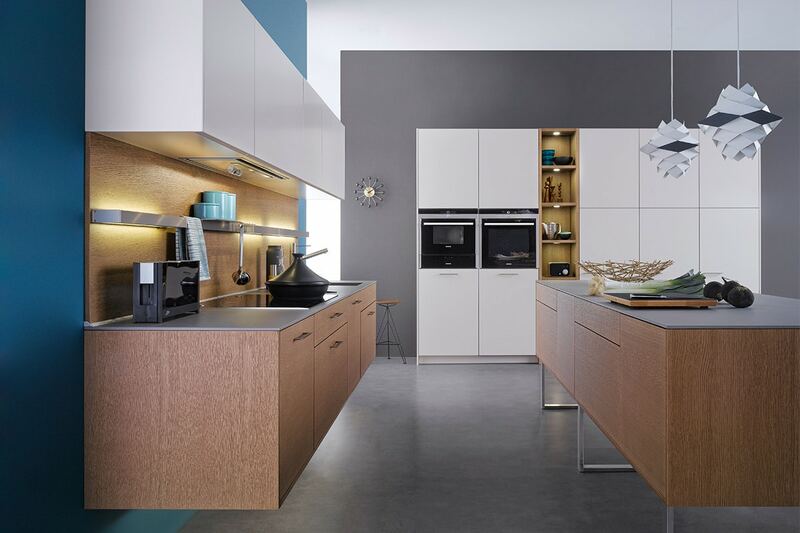 A classic open-room design that is truly at the forefront of modern kitchen architecture. 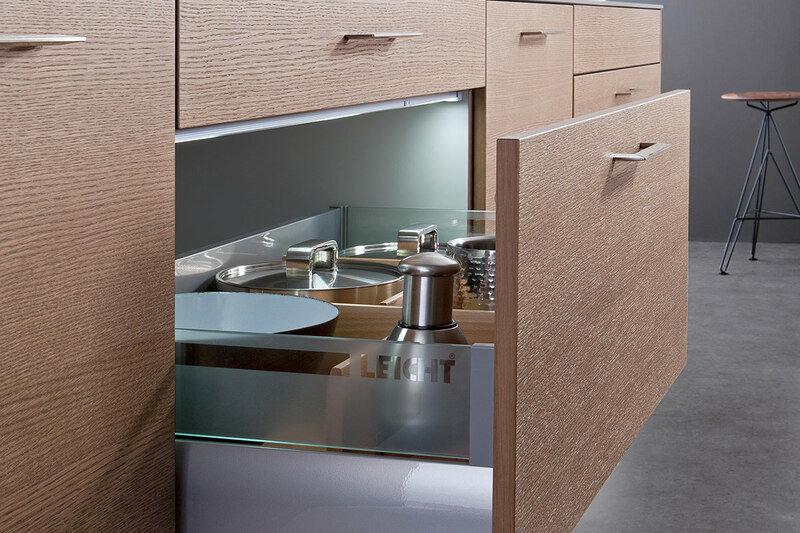 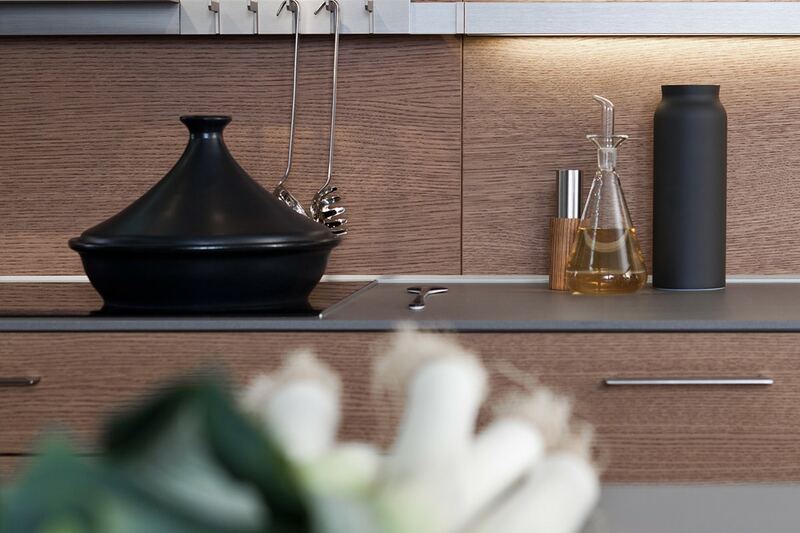 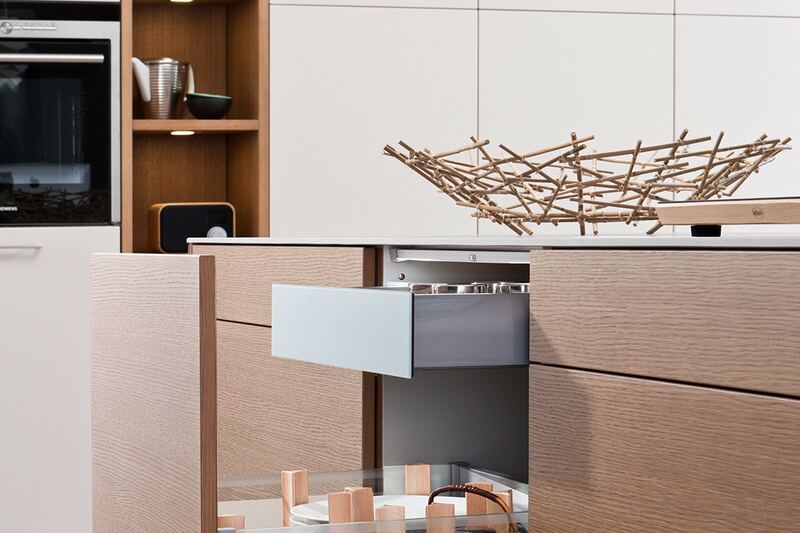 Freely suspended floor units and an island made out of copper oak and covered with an elegant ceramic worktop allows the room to breathe whilst providing a luxury quality to the space. 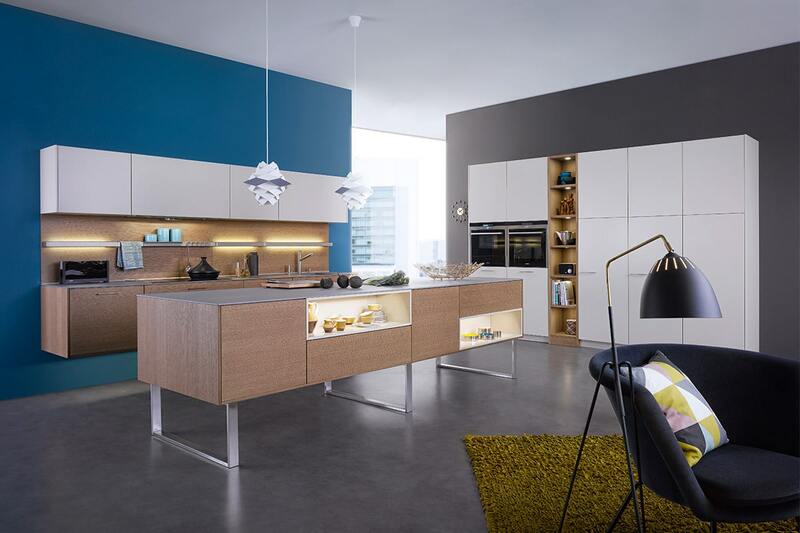 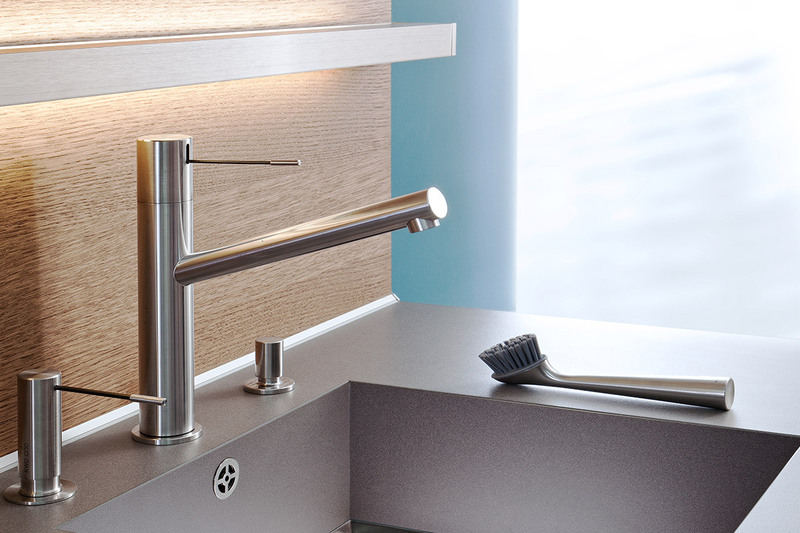 The delicate use of colour and material meets the highest demand of modern design. 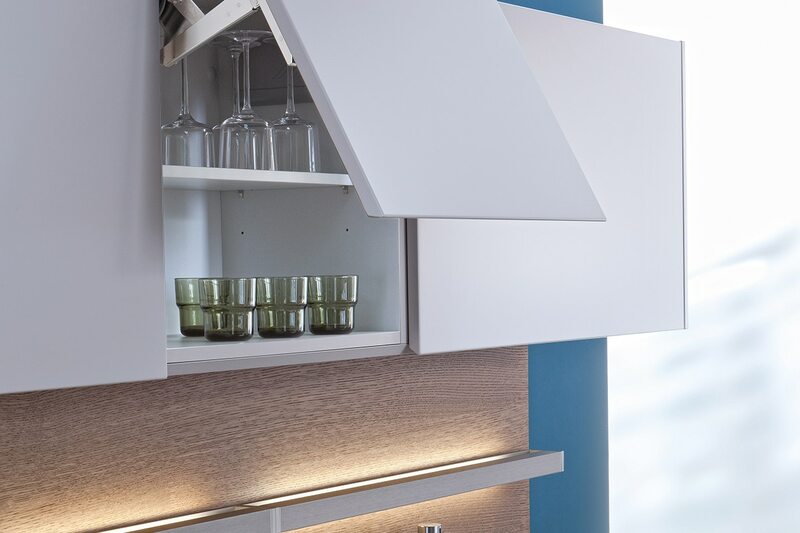 LED wall panels and shelves subtly illuminate the kitchen and pleasantly make the room feel like home.